I haven’t exactly mentioned much about it on this blog, however for the last year or so I’ve been working on the Freesat version of BBC iPlayer. For me, bringing BBC iPlayer to the TV screen properly is a key to real success for the service. I say real success because I passionately believe that most people just don’t want to watch TV via their computer screen if they can get away with it. However put it in front of someone and make it easily accessible via your normal remote control and then you’ll have the chance to change things completely. Meanwhile, on BBC iPlayer, about a quarter of all programmes are viewed by Virgin Media customers. 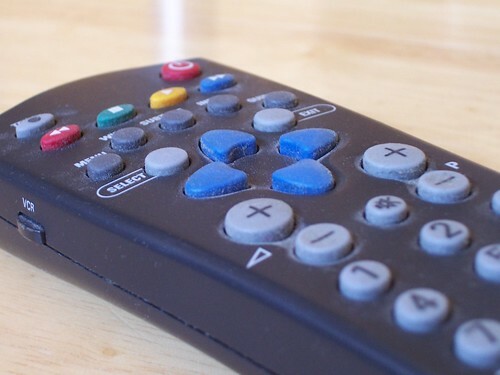 That’s despite the company only having 3.7m customers taking their TV package – about 12% of homes according to the latest Ofcom report on digital TV takeup. Lets repeat. 12% of homes account for 25% of BBC iPlayer viewing. Then there’s the games consoles, which account for about 11% if the remaining BBC iPlayer users, according to the BBC iPlayer stats pack for December 2009. It doesn’t take a genius to see from those various statistics that there is a huge appetite for watching on demand TV via the TV screen. After all, if you’ve got a good TV with a good sound system, why would you want to watch on a laptop? And they are all very impressive statistics. There is no doubt. And some people will use all these stats to say we’ll all be watching on demand all the time soon and that linear TV is dead. Given my iPlayer involvement, you might think I’d be saying “too right! We’re changing the world, baby!” but I’ve never believed that. However I’ve never had anything to back up my hunch. So I was interested to read on the BBC intranet a short, but interesting piece about ondemand viewing facts. And I’m even happier to see it’s been posted to the About the BBC blog. It lists seven quick facts about on demand TV, and how it’s enhancing linear TV, not replacing it. Although no specific research is stated, the BBC’s audience research team really are very good at their job and this will be based on a number of pieces of research. One of the most interesting is that 95% of all viewing is live and just 5% is time shifted by PVRs, video recorders and – of course – BBC iPlayer. Okay so it’s up to 10% for those in the 16-24 age range – teenagers watching iPlayer on their laptops is often held up as scientific proof that the TV set is as doomed as the linear channal. Yet 90% of 16-24 year olds still watch live TV. Then there’s the fact that 50% of all time-shifted viewing is done by the humble PVR – and only 15% by BBC iPlayer on the PC. In that tell tale 16-24 year old market, iPlayer does rise to 31% however PVRs still measure strongly at 46%. Nothing is stated on the humble video recorder, but one would suspect that they’re dying off with the younger generation. The PVR may be under attack, but all the main pay TV providers do push their PVR offering very strongly, and no doubt will continue to do so. And here’s the kicker for me – only 0.4% of the population watch TV via online methods alone. As the article says, “We still love our TV sets”. Of course times change – there’s no denying it. However behaviours change a lot slower than people think. After all, digital TV started in this country in 1998 and yet we still haven’t got everyone on digital yet and won’t for another two years. Habits will change, and who knows quite how they’ll change. However it’s fair to say that it’s going to take a long time before they change to such an extent that TV as we know it is dead. In a way it reminds me of the whole “TV will kill radio” and “VHS will kill the cinema” kind of debates. Radio still remains and is, arguably, stronger than ever. The cinema has had a battering over the years, however they’re still in our towns. As someone who worked on an On Demand system, I’m not convinced. iPlayer is (as the lone comment on the BBC article you reference also says) Catch-up TV. By inference this will enhance linear especially if the linear content repeats often (Dr. Who I’m looking at you!). I would say you need someone else from other On Demand environments to comment in order to really see what the effect is. As content producers start releasing content to On Demand at the same time as DVD, you will see a movement to more On Demand orientated viewing. From experience in Europe, it appears that On Demand reduces churn, and that releasing serial or episodic content is a big draw (yes, bad form, no reference). The big change is when Original content goes to the On Demand system first or when it is used as a value add. For an example think of a Film Four On Demand portal that would contain related films and maybe films that could be released earlier, directors editions, extras, other information. On Demand will take over, the question is, in what form and what will happen to broadcast ? Will broadcast be re-purposed to serve more niche or specialised markets (News, Bloomberg, Sports), and is VoD purely a TV dominated experience ? Look at the Escapist Magazine (http://www.escapistmagazine.com/) if you want a Web style mix of “channel” and “VoD”.